10 Things You Probably Didn’t Know About Kesha (And Why You’ll Love Her Even More)! After her long musical hiatus, Kesha is back and better than ever. For the past few years, she has been at the center of an ugly legal battle, but with the past now thankfully in the past, she’s coming back strong... and with powerful force. Here’s why we here at Young Hollywood absolutely love her -- and why you should too! Most people thought the name came with the territory of fame. But let’s be real, the dollar sign was a trademark of Ke$ha. I’ll never forget the amount of people that were so infatuated with her name when "Tik Tok" was released back in 2010. News outlets, radio personalities, and fans all wanted to know one thing… why the $$$? The $ actually came from anger. Kesha was featured in Flo Rida’s hit song, "Right Round", but was never paid or credited for her contribution to the single. In backlash, she created “Ke$ha”. As a teenager, she appeared with her family on an episode of the TV series "The Simple Life". In the episode, stars Nicole Richie and Paris Hilton tried to play matchmaker for Kesha’s mom, Pebe. The stint on "The Simple Life" went so well that Paris Hilton ended up inviting Kesha to sing backup on her single “Nothing In This World”. Those opportunities in turn led to Kesha landing a back-up singing position with Britney Spears on her song “Lace and Leather”. Remember Katy Perry’s “I Kissed a Girl” music video? Kesha was featured in it. And remember the song “Till the World Ends” with Nicki Minaj and Britney Spears? Yeah, she was featured on that too (and co-wrote the song!). And remember the OG Miley Cyrus days with “The Time of Our Lives”? Yeah, Kesha co-wrote that, too. 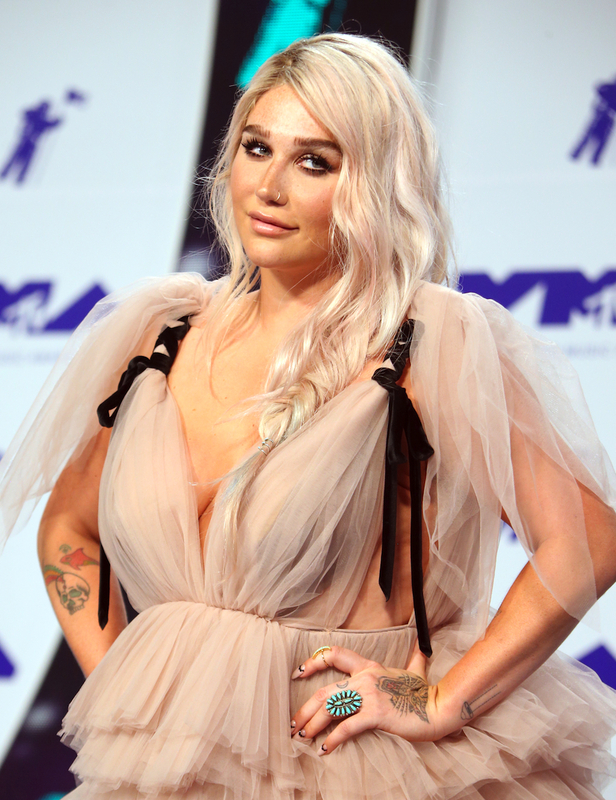 Kesha is an outspoken animal rights activist and vegetarian. Her family has rescued dogs from all over the world. Any fur you’ve ever seen her wearing has always been fake. And any skulls she wears for fashion have always been from -- wait for it -- roadkill. She even once on a whim flew to South Africa to help rehabilitate lions. She loves her supporters and uses her platform to speak in moving ways to her diverse audience, so when she encountered bullied fans on Twitter, she was inspired to title her album Warrior in honor of them. At the height of her glitter obsession, Kesha was spending "a few thousand every month" to stay sparkly. Did you really expect anything less, though? No shock there. The singer recently revealed over Instagram that her newest tattoo is the words “LIVE FREE” spelled out across her fingers. Not only has she been fighting a legal battle, but she also entered rehab for her eating disorder, which is where her new album, Rainbow, started to take shape. If “live free” is her new motto... I dig it. If you’ve heard it... Congratulations. Your ears just won the lottery. If you’ve yet to take a listen… why the heck are you still reading this article? GO!! !